Factropolis -- A Fun Fact Every Day! : Gregor Mendel, best known as the "father of modern genetics" for his experiments with pea plants, was also the father of the modern nudist movement. Gregor Mendel, best known as the "father of modern genetics" for his experiments with pea plants, was also the father of the modern nudist movement. 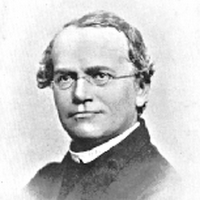 Gregor Mendel was not a nudist. Likewise, he was a Roman Catholic Priest. I agree with the person above me. I have relatives who are involved with a nudist colony and their society is actually quite intriguing. This information, has been posted earlier on this website.